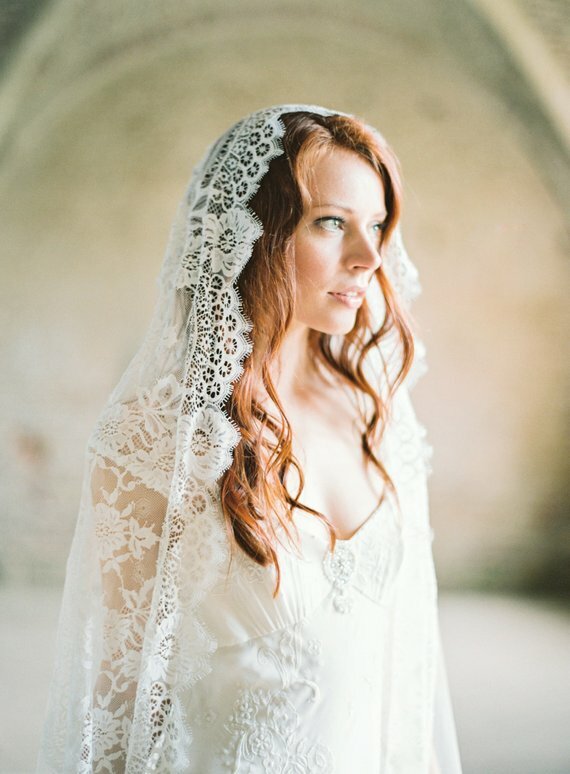 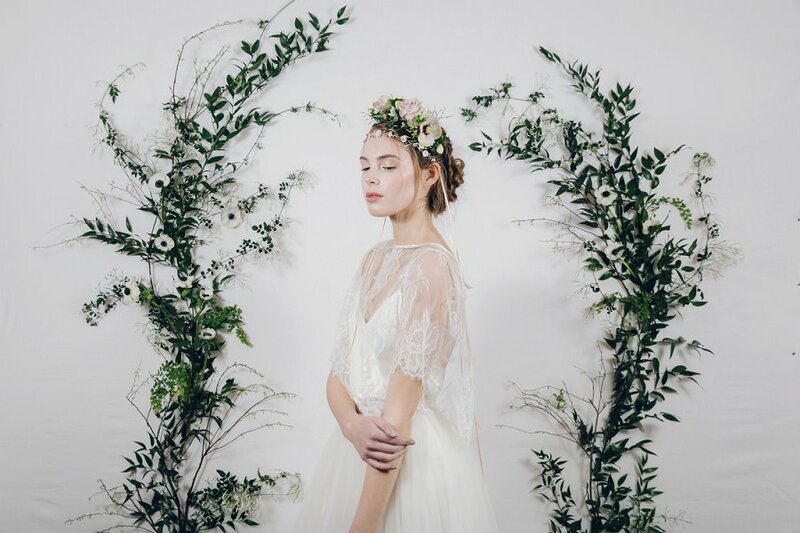 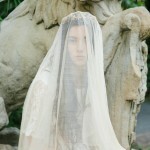 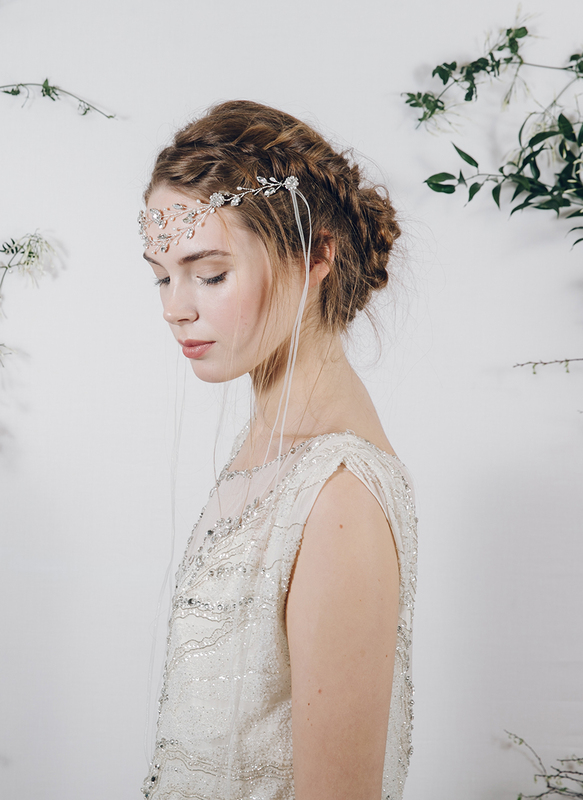 Home > Headpiece > Enchanting & Ethereal Bridal Headpieces by Debbie Carlisle: Secret Garden! 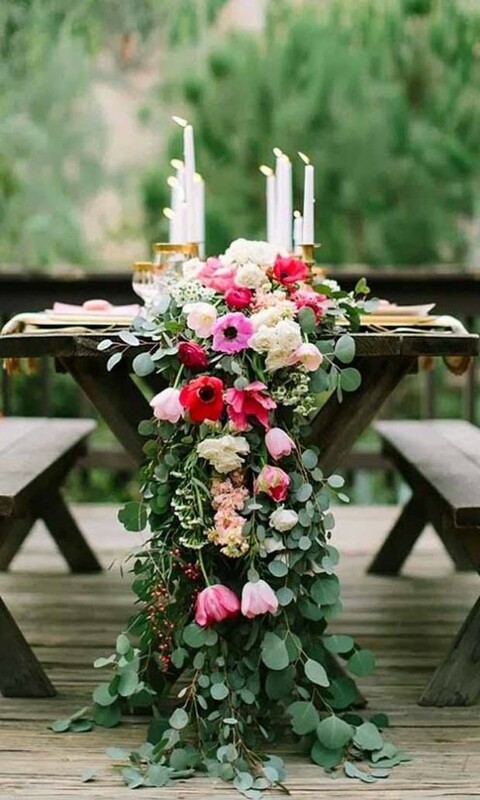 Happy Saturday lovelies – I hope you’re having a fab weekend!! 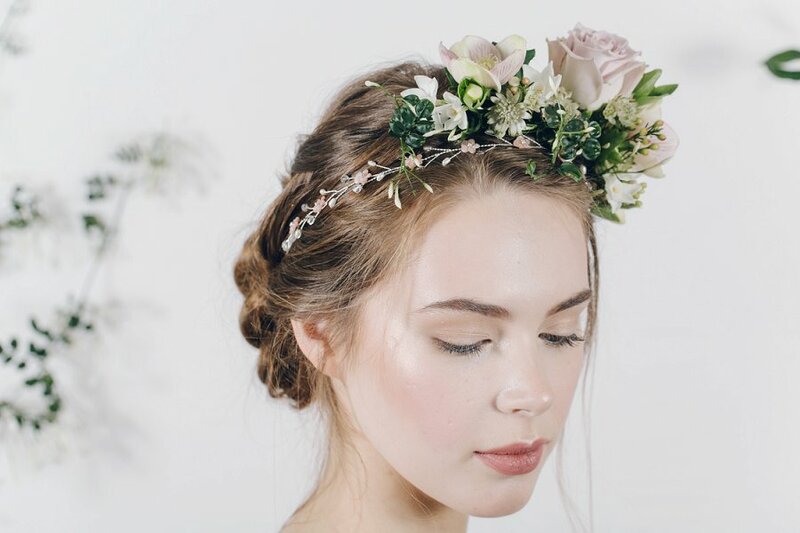 Well to make your weekend even better I have the prettiest floral inspired headpiece collection to share with you, it’s called Secret Garden by Debbie Carlisle. 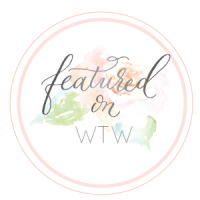 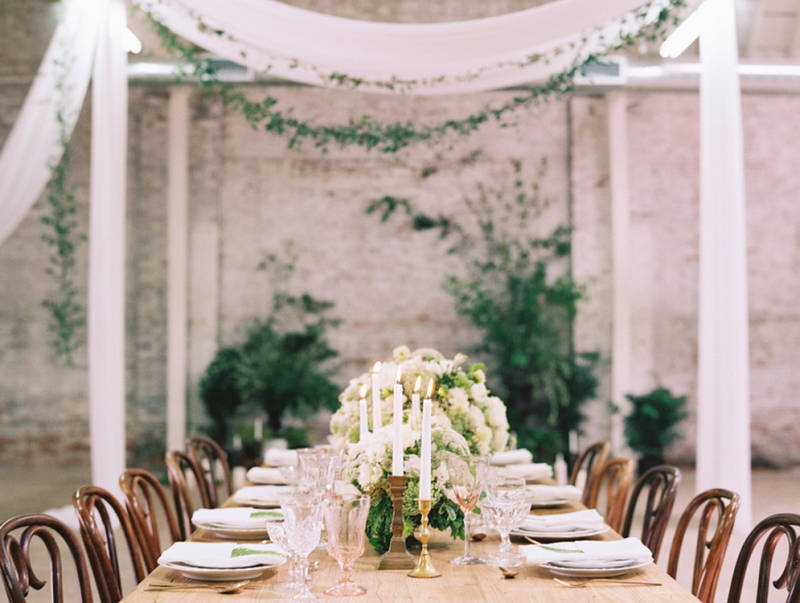 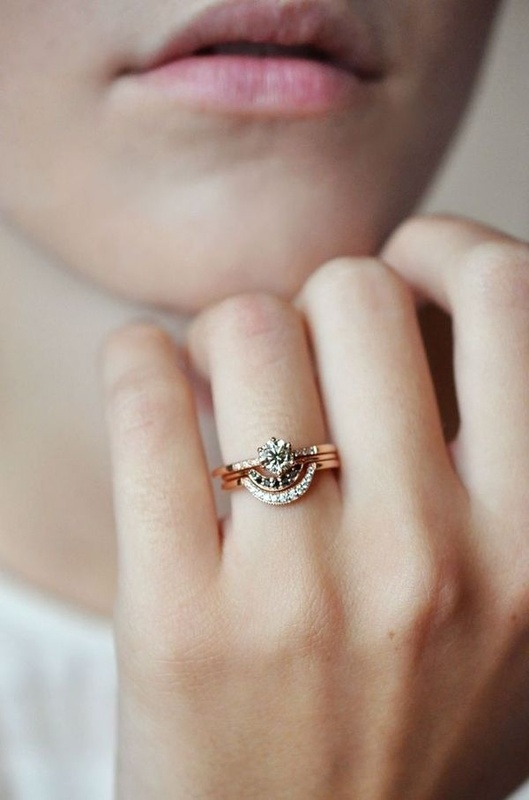 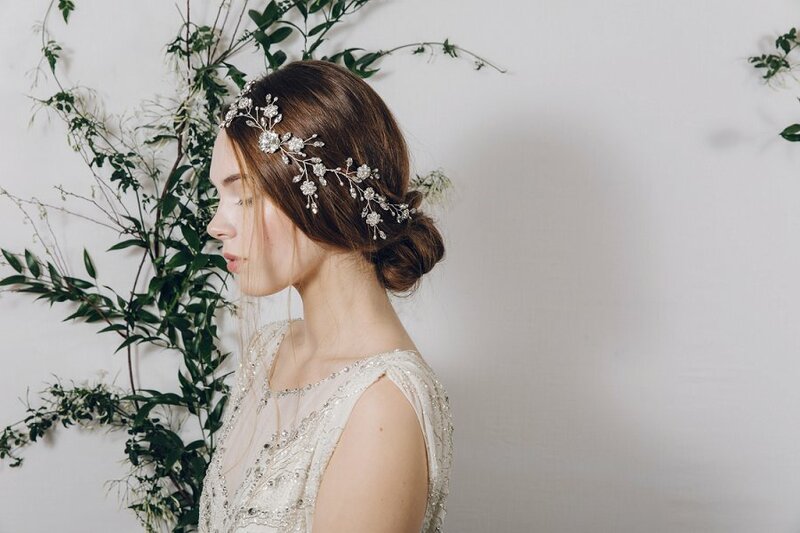 A stunning bridal collection of dainty floral vines, delicate flower pins and statement floral headpieces… I’m in love! 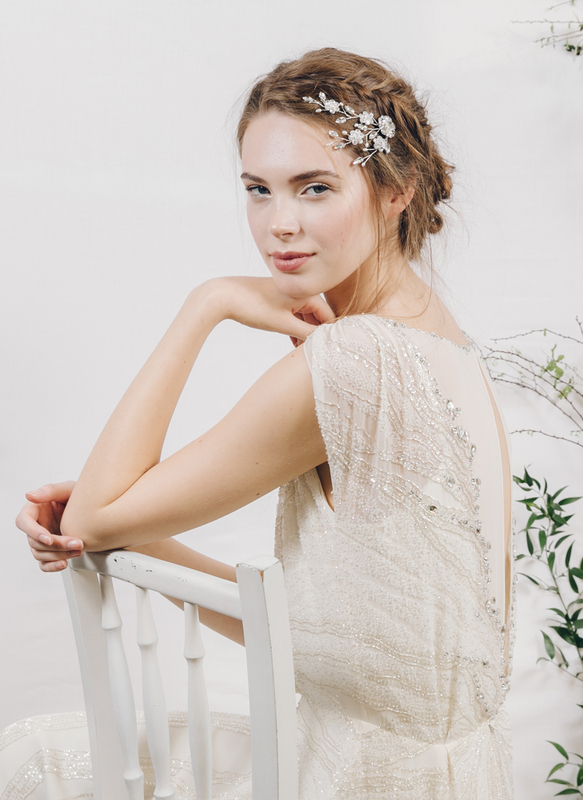 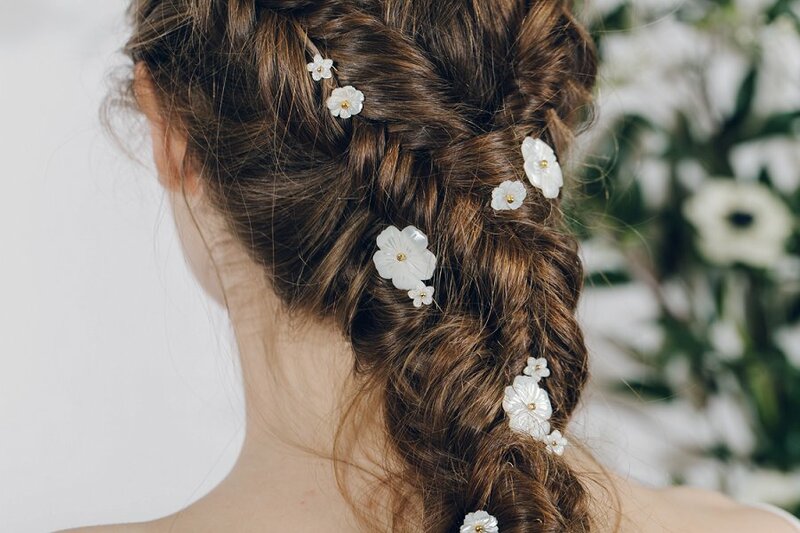 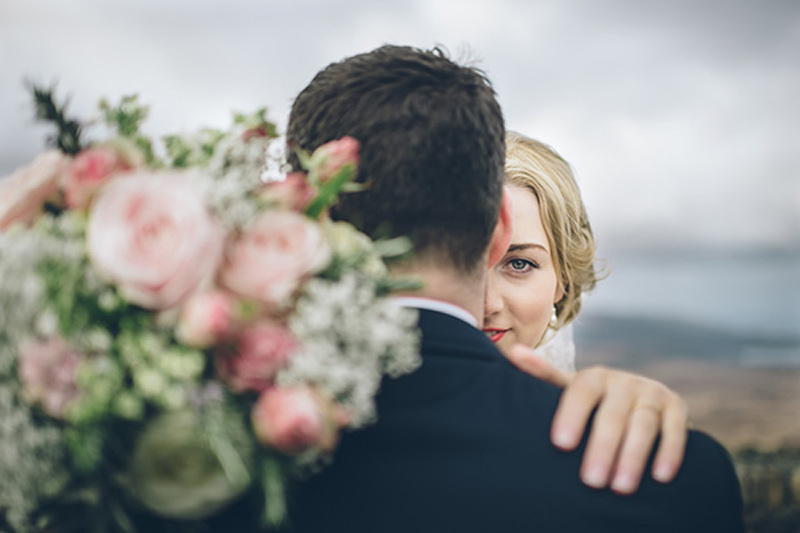 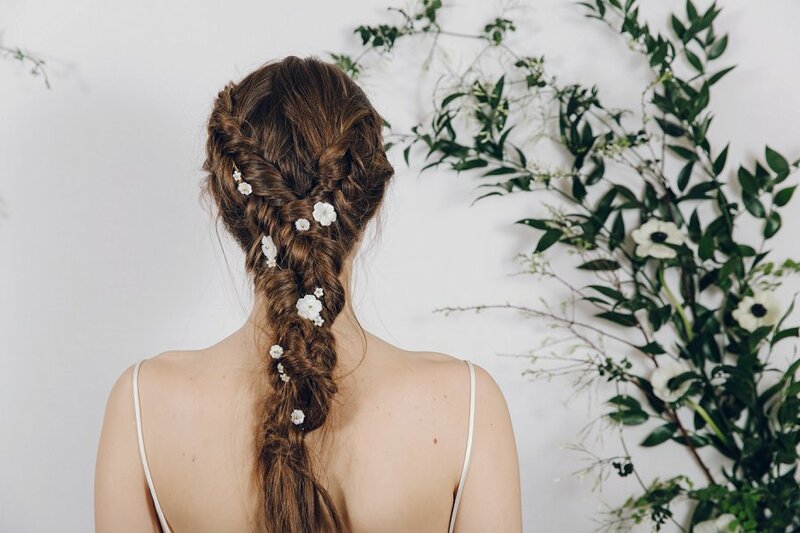 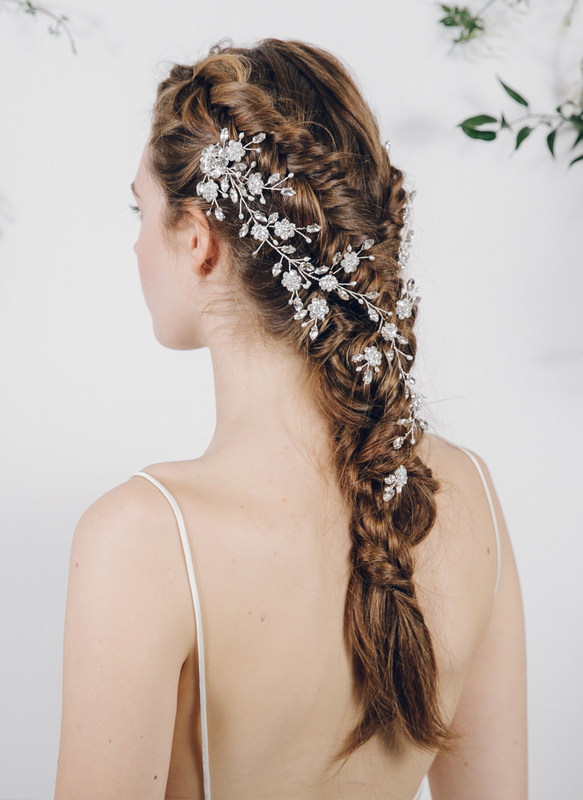 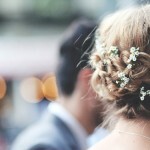 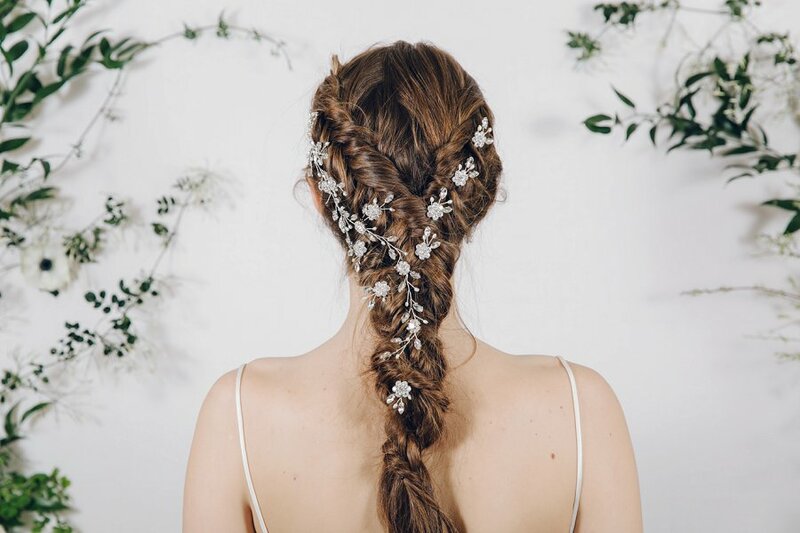 Welcome to the Secret Garden a brand new collection of sparkling floral-inspired wedding hair accessories for brides looking for a touch of bohemian or vintage glamour. 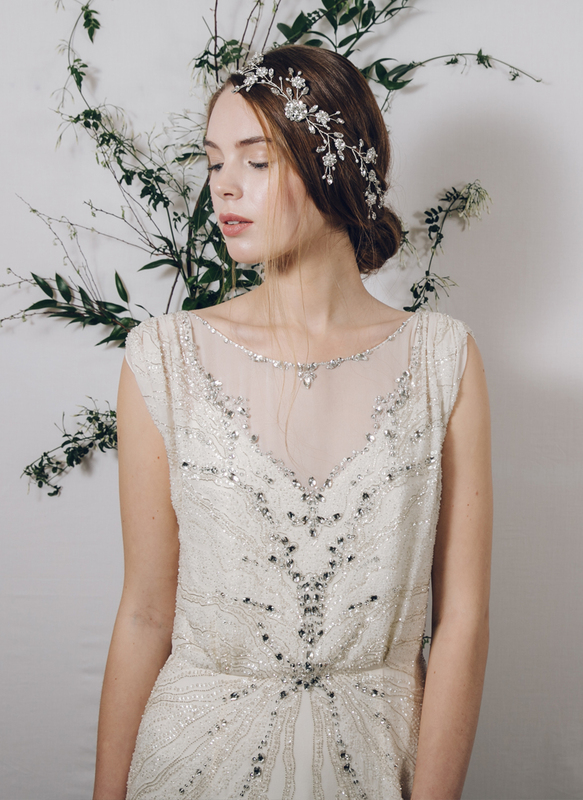 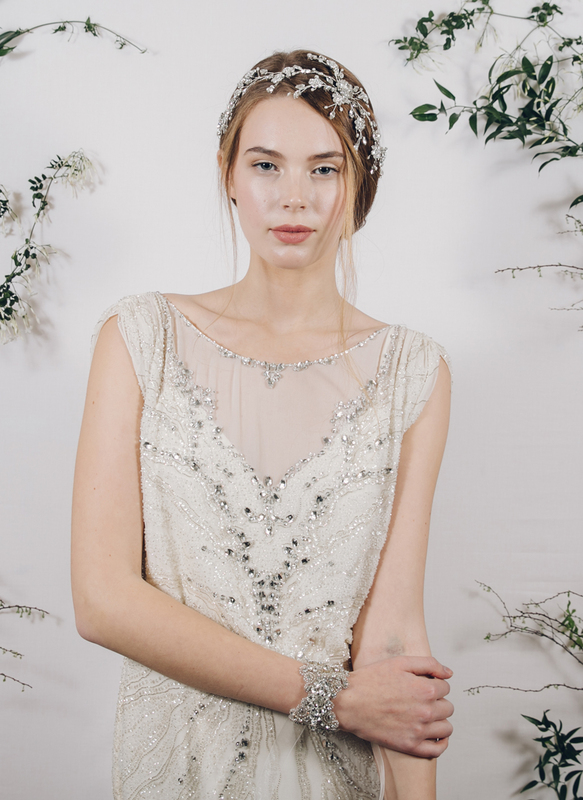 Every piece in Debbie Carlisle’s Secret Garden collection is a sparkling gathering of hand-wired crystal and pearl jewelled wedding headpieces inspired by the floral trailing vines of the English countryside and gardens. 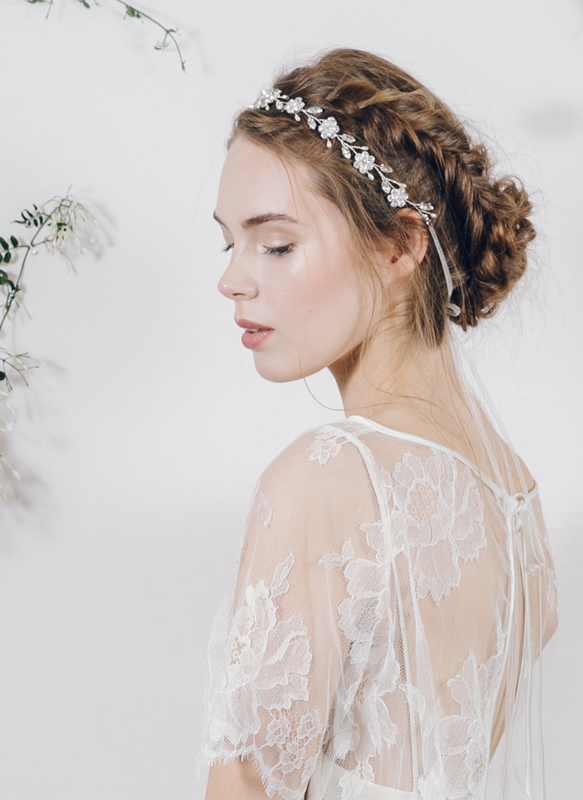 Debbie’s new collection will appeal to traditional and classic brides looking for small bridal combs and hair pins as well as vintage-loving and bohemian brides looking for simple ribbon tie headbands, delicate hair vines or statement jewelled headpieces. 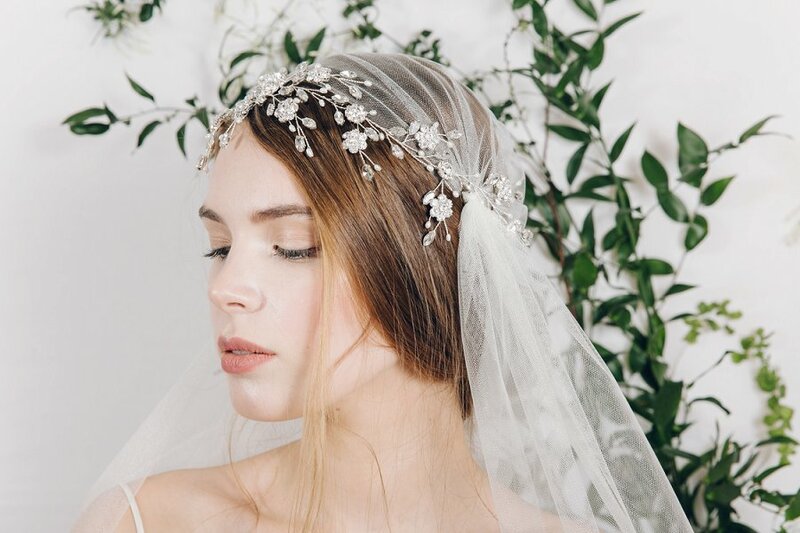 Every headpiece in the collection is made by hand in Debbie’s Sheffield studio – and she has even added some new designs to her popular Enchanted Collection of mother of pearl floral headpieces available in gold and silver – now including a blush pink option. 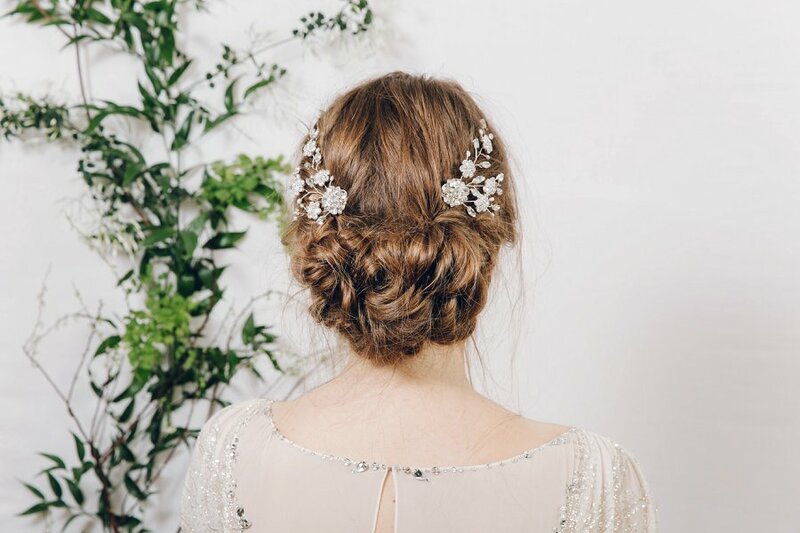 Another new addition is sets of mother of pearl flower hair pins which will appeal to understated brides and bridesmaids. 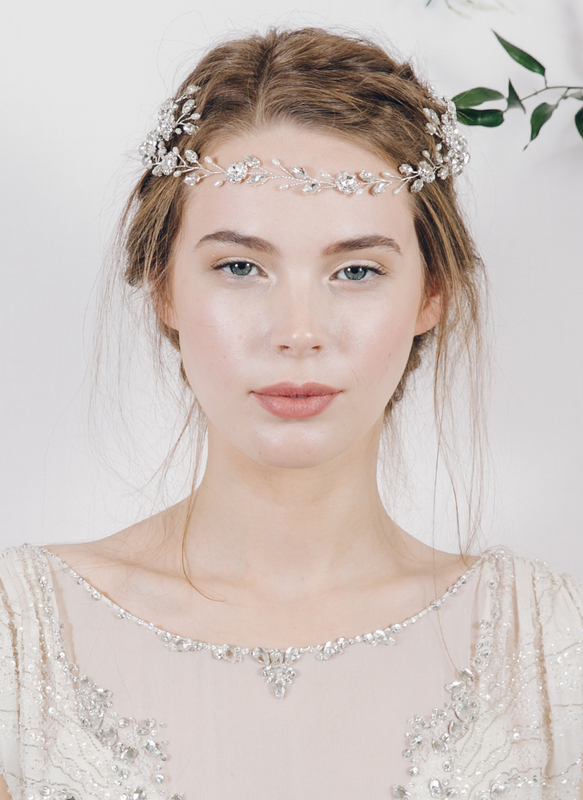 All of the headpieces are extremely versatile, allowing brides to change their look during the day with the same accessory. 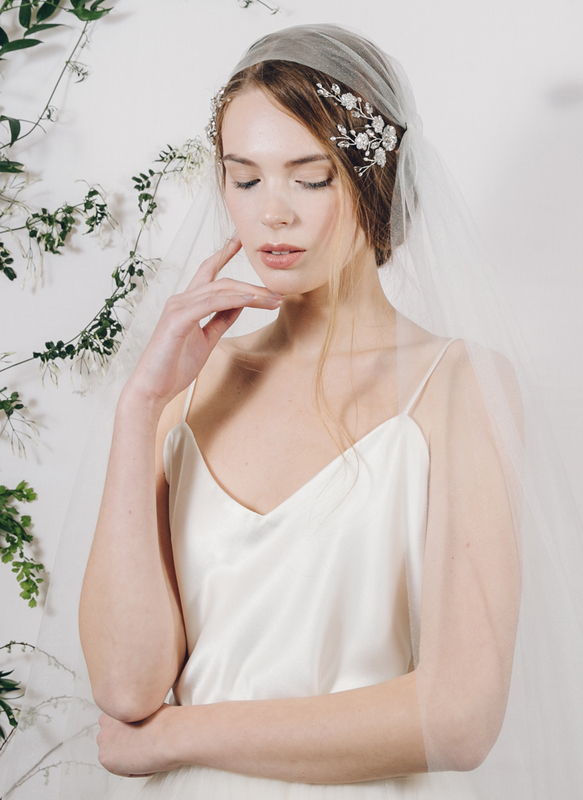 Debbie’s headpieces are beautifully-made and light and comfortable to wear – and all headbands are wrapped in soft satin ribbon which can be chosen to tone with the wearer’s hair at no extra cost. 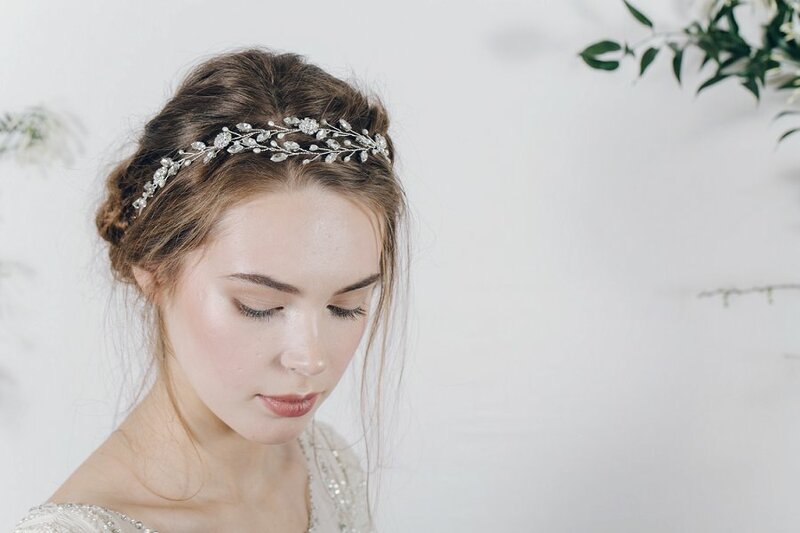 Some of Debbie’s jewelled ribbon tie headbands are pictured styled with a fresh flower crown – this creates a stunning day time look and also means that brides can remove their crown when it starts to wilt later in the day – and reveal their jewelled headpiece in all its glory for a brand new look! 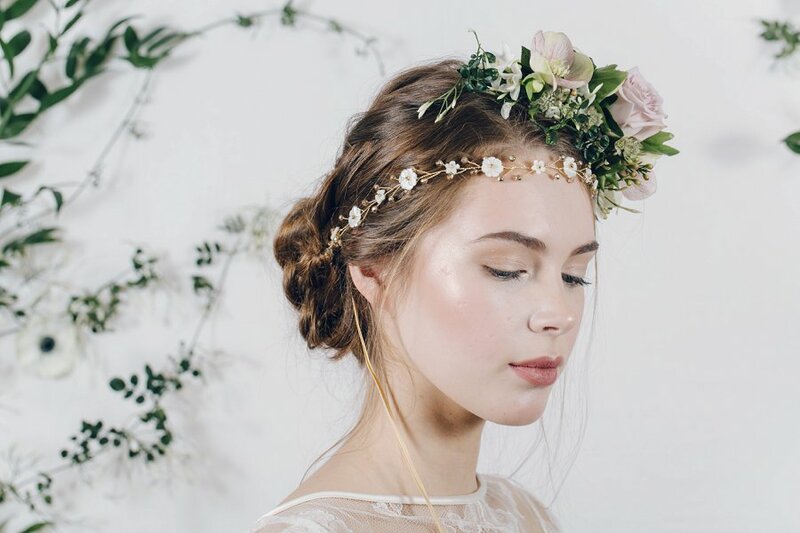 To browse and buy Debbie’s headpieces visit www.debbiecarlisle.com or contact debbie@dcbouquets.co.uk to request a private consultation in her Sheffield city centre studio. 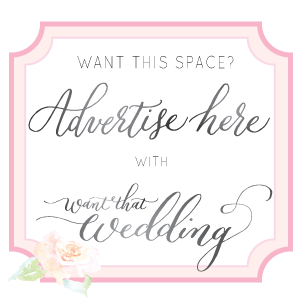 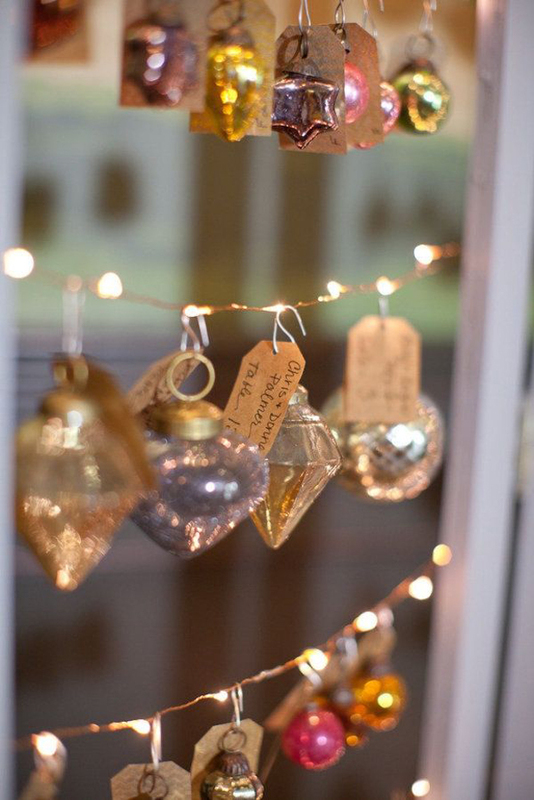 Prices range from an affordable £10 to £275. 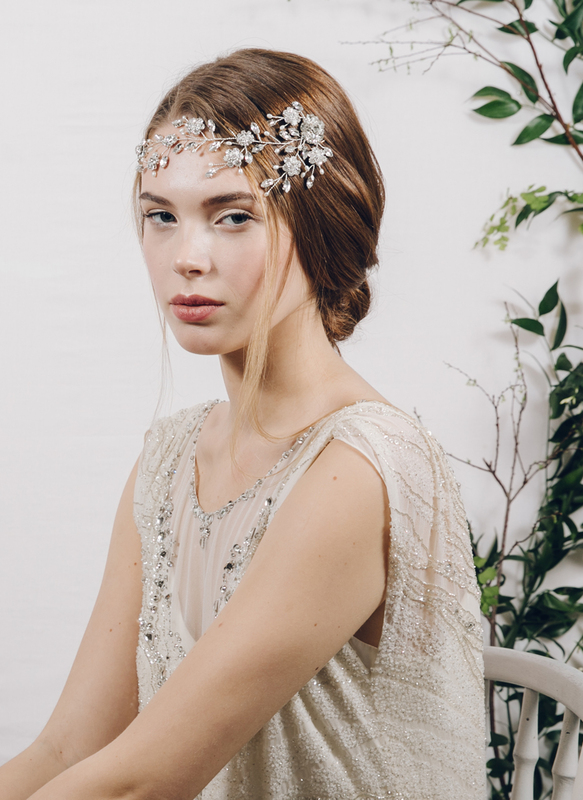 These headpieces are SO pretty!